Steven Dayan, MD « Cosmetic Surgery Forum – Practical. Honest. Insightful. 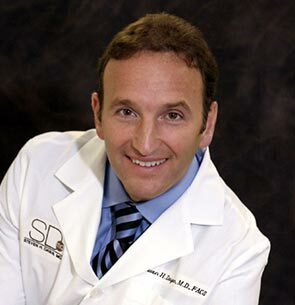 Dr. Dayan is a board certified Facial Plastic Surgeon, NY Times and USA TODAY Best selling author, physician educator and an active researcher in emerging cosmetic medicine technologies and techniques. Additionally, he is Clinical Assistant Professor at the University of Illinois and an adjunct Professor at DePaul University teaching an undergraduate course on the “Science of Beauty and Attraction and its Impact on Culture and Business.” Dr. Dayan has published over 110 medical articles, book chapters and monographs. He has authored four books. His book, Subliminally Exposed release in June of 2013 hit #9 on the NY Times best seller list in the How to Advice Section. His book, Thrive, a business book for doctors, has resulted in a national series of training seminars educating physicians on optimizing minimally invasive office based procedures in their practices. In addition to a practice that sees over 6,500 patients a year, Dr. Dayan has founded and serves as a medical director for a skin care center (True Skin Care), an educational center for estheticians (True University). He also is founder and medical director for a research company (DeNova Research). For his professional achievements, in 2008, Dr. Dayan was awarded the American Medical Associations (AMA) Foundation Leadership Award, the 2009 Public Service Award from the Chicago Medical Society. He has also been recognized as a “Top Doc” by the Castle Connolly, US News and World Report and Consumer Check Book Guides. A graduate of Washington University in St. Louis, Dr. Dayan achieved Phi Beta Kappa honors and attended the University of Illinois Medical School. After graduating with AOA honors, he completed a residency at the University of Illinois, where he served as chief executive resident in his final year. Dr. Dayan is currently a Chicago Public School Advisory Board Member and serves on the editorial board of Facial Plastic Surgery, Journal,Cosmetic Dermatology, and Aesthetic Surgery Journal. A passion for education, love of children and commitment to the city’s future inspired Dr. Dayan to create Enhance Educational Foundation. This not-for-profit organization raises funds and resources for Chicago Public School students and provides underprivileged students with mentoring and internships opportunities. Additionally, he has awarded over $130,000 in college scholarships to Chicago Public School students.